Hello! Sorry for the blog silence, I've been sick. so I finally have some colour photos to share, hurray! 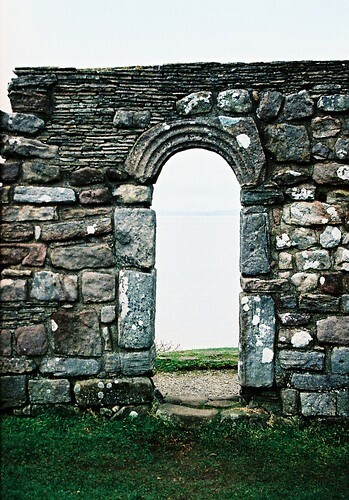 I'm so glad these photos turned out well, they are of St Patrick's Chapel, Heysham - a ruined building which stands on the coastline of Heysham, next to the newer St Peter's Church. It is a Grade I listed building and a Scheduled Ancient Monument believed to be dated from the 8th or 9th Century. Just beneath the chapel was a peaceful little cove where we sat for a while taking it all in, I loved the colours of the shells and the sound of the waves.